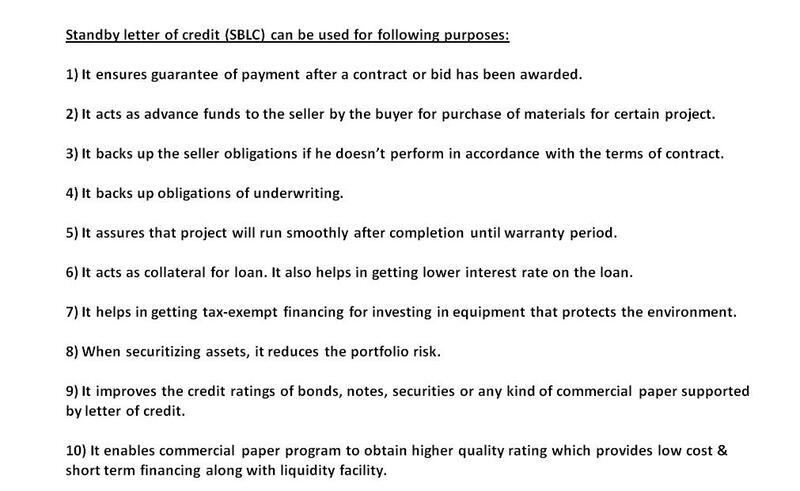 Stand-by letter of credit (or SBLC (MT-760)) in trade is commonly used and especially in oil trade. Stand-by letter of credit is document issued by bank and is based on Uniform Customs and Practice for Documentary Credits (UCP 600). In the SBLC will be stated that Issuing bank will provide a payment if a customer fails to fulfill an obligation. In oil trade Stand-by letter of credit is used as seller payment guaranty for products. In some deal payment for oil is made by direct payment against shipping document and deep test verification and the stand bay letter of credit will be lodged as guaranty for the exporter. 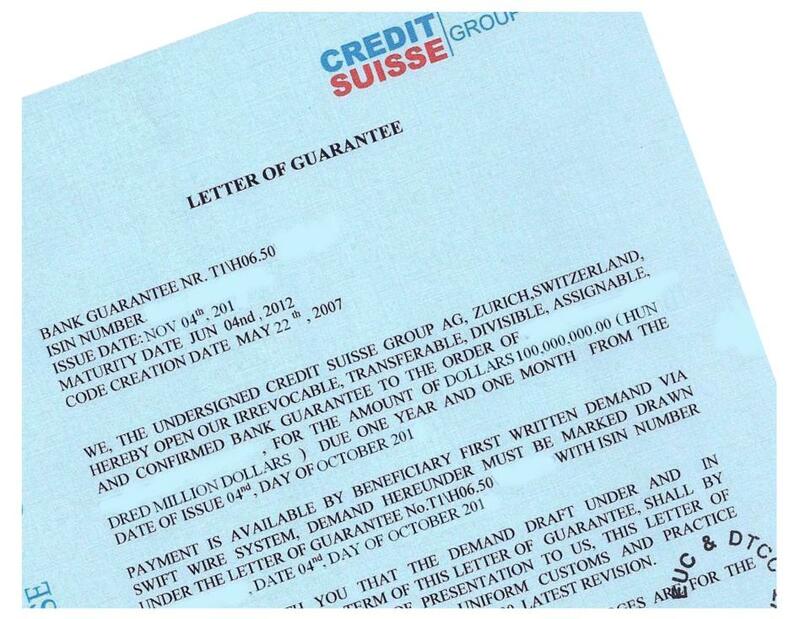 Stand-by letters of credit are similar to bank guarantees, which offer similar protections. Buyer bank will issue a stand-by letter of credit only after carefully examining of his client and the deal that he plan to enter in. most of banks want to avoid a situation in which someone will make a claim on a stand-by letter of credit and force the bank to pay. There are a number of reasons why a bank customer might request a stand-by letter of credit. These documents are often used in international trade when the parties involved in a deal may have concerns about whether or not a transaction will go smoothly. In many transactions, the standby letter of credit acts almost like a reference, demonstrating that a contract or transaction will be fulfilled and paid for no matter what happens during the deal. Threes several different types of standby letters are available, tailored to specific situations. In all cases, the payment is provided from the bank regardless of disputes or other problems. It is a guarantee that payment will be received by the seller of products in the event that the client/buyer is unable to complete their financial obligation. Stand-by letters of credit can back bonds put up when people make tender bids, indicate a guarantee of performance in a contract, or provide assurance that payment will be provided for a shipment, among many other things. 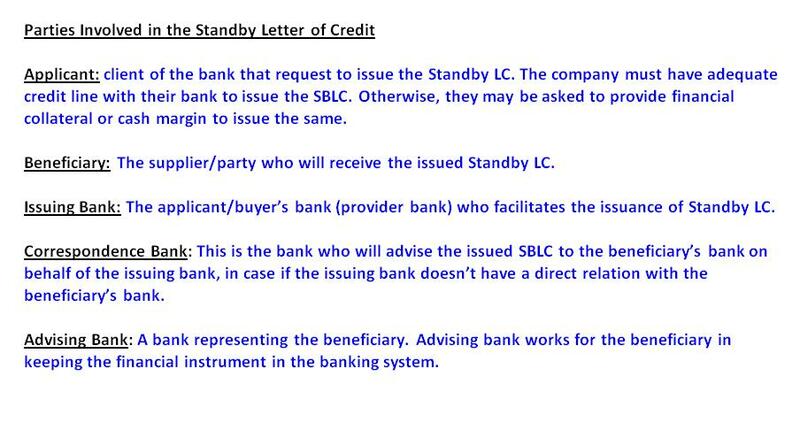 SBLC (stand-by letter of credit) can be transferred, but only with written permission from the issuing bank and parties that are involved in the deal. It is possible to transfer a stand-by letter of credit, but only with written permission from the issuing bank and the part which benefits from the standby letter. The beneficiary is also allowed to assign the proceeds of the stand-by letter to another party, although notice must be submitted to the issuer so that it directs a payment appropriately. Without notice of reassignment, the issuing bank will make the payment to the original named beneficiary. Stand-by letters of credit are primarily used in commercial transactions and trade deal. Not all banks are ready and able to offer them and people usually need to apply in advance in order to give the bank enough time to verify people (seller/buyer) and companies involved. If the bank approves a customer (seller/buyer) for a standby letter of credit, it will generate the document and forward it to the bank which is representing the other party in the transaction.